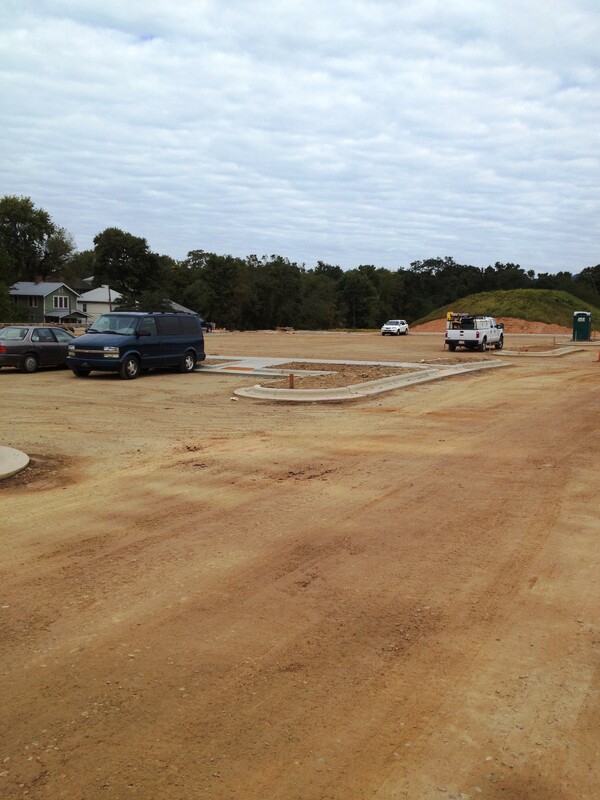 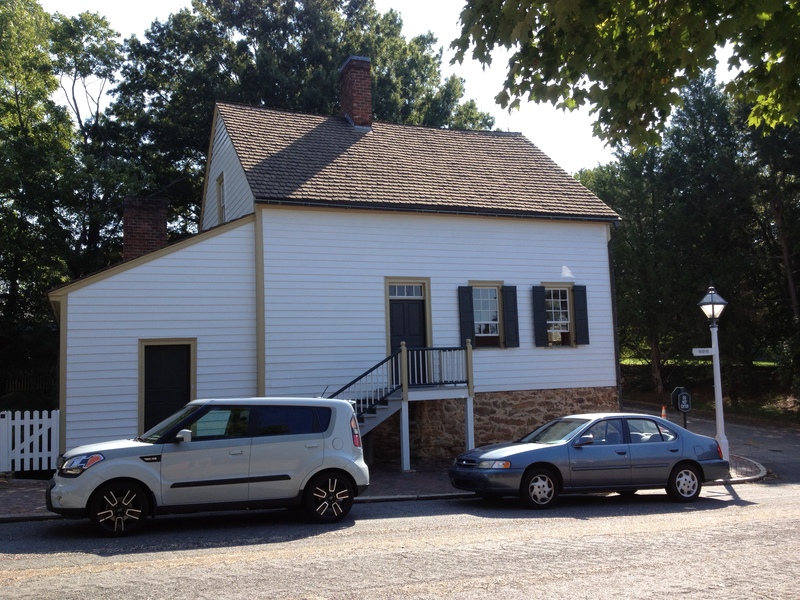 Wilson-Covington is proud to be working with new homeowners in Old Salem. 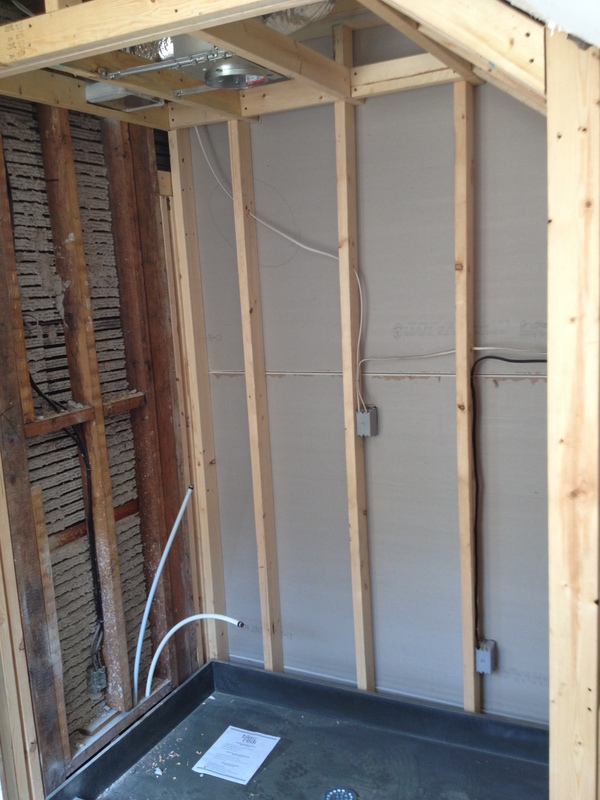 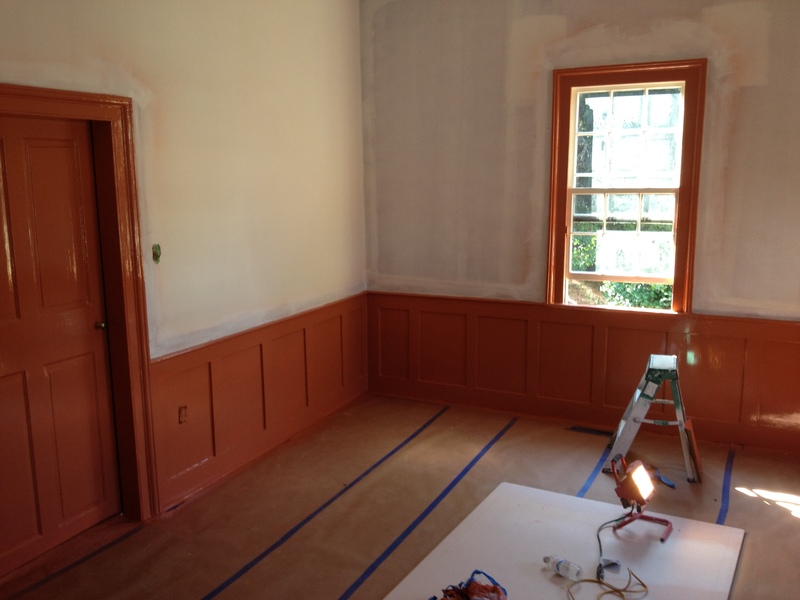 Work on the historic home will include remodelling the kitchen and master bathroom, painting, and floor cleaning and finishing. 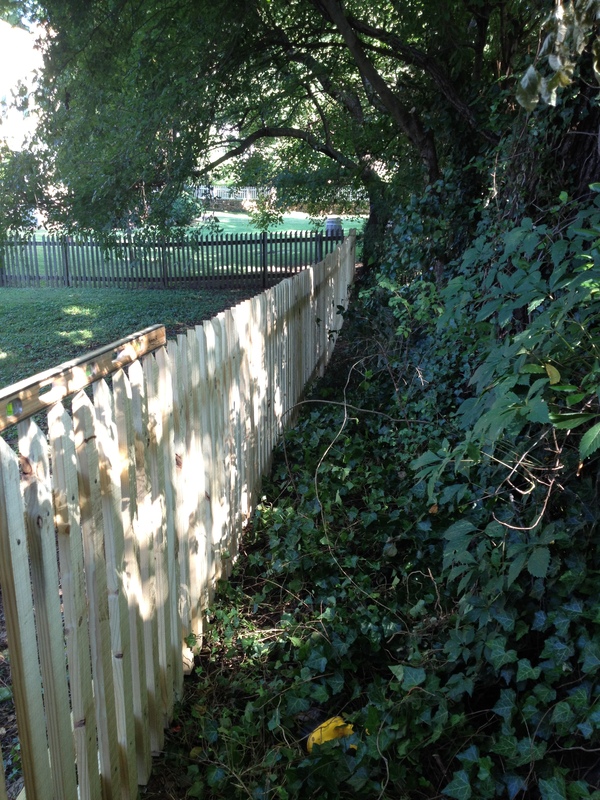 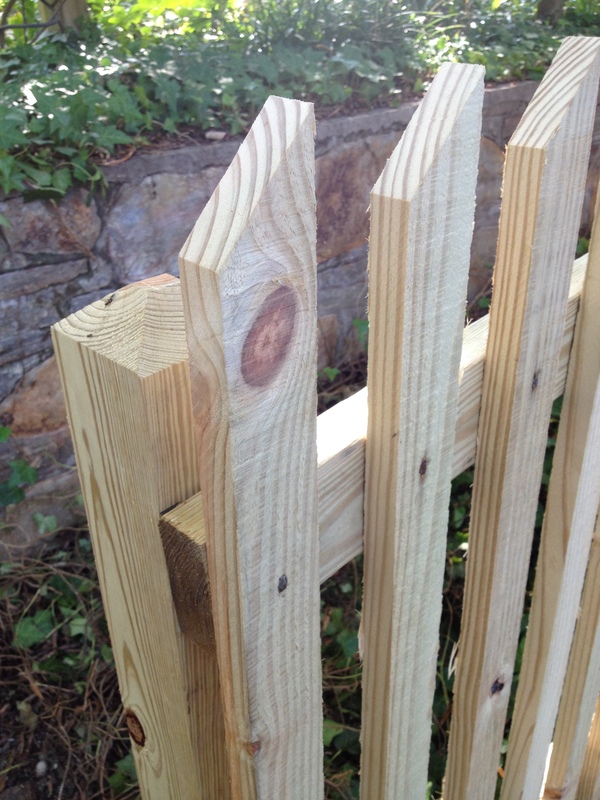 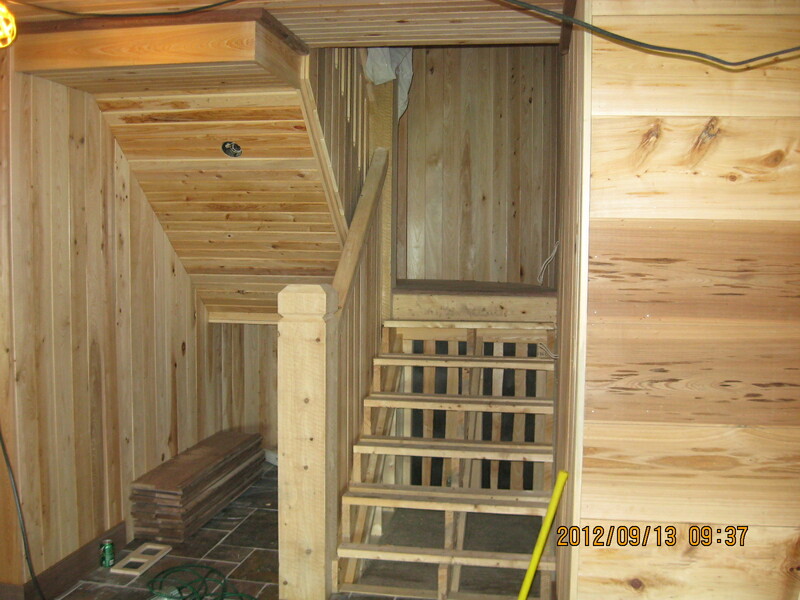 Exterior work includes new fencing and minor exterior repairs. 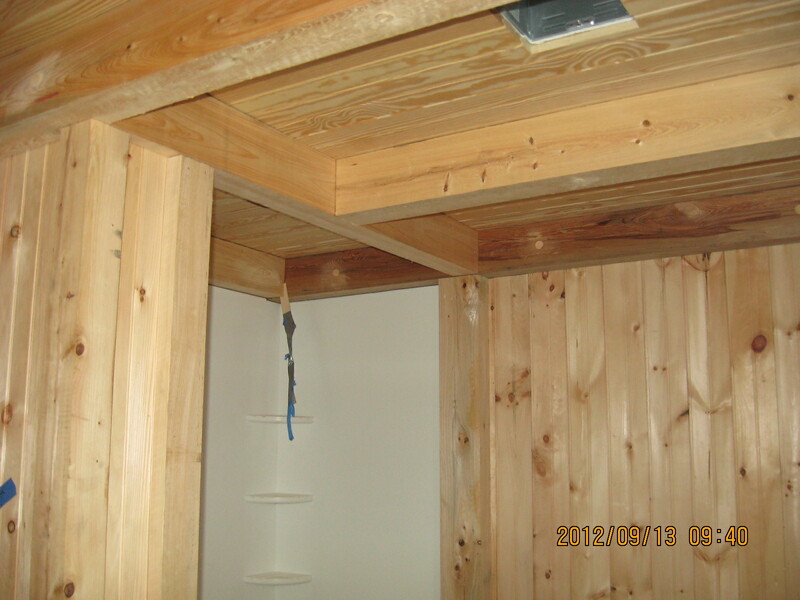 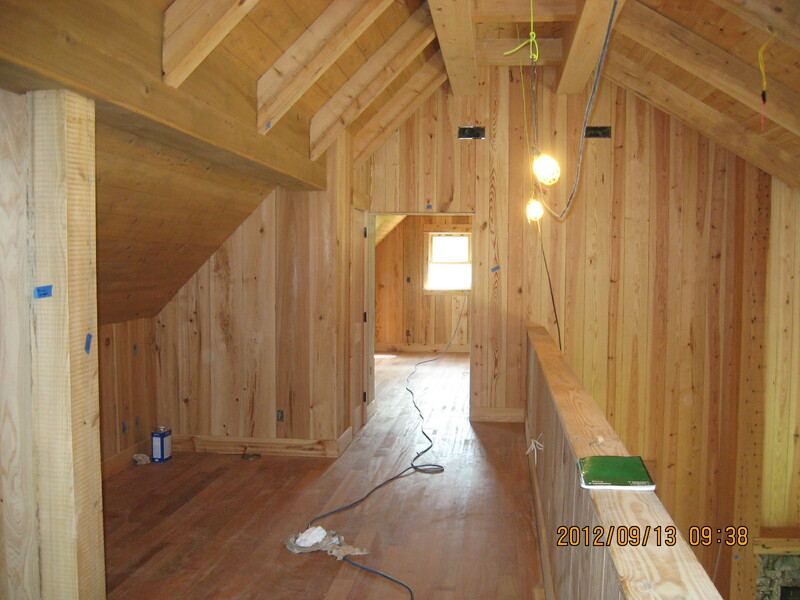 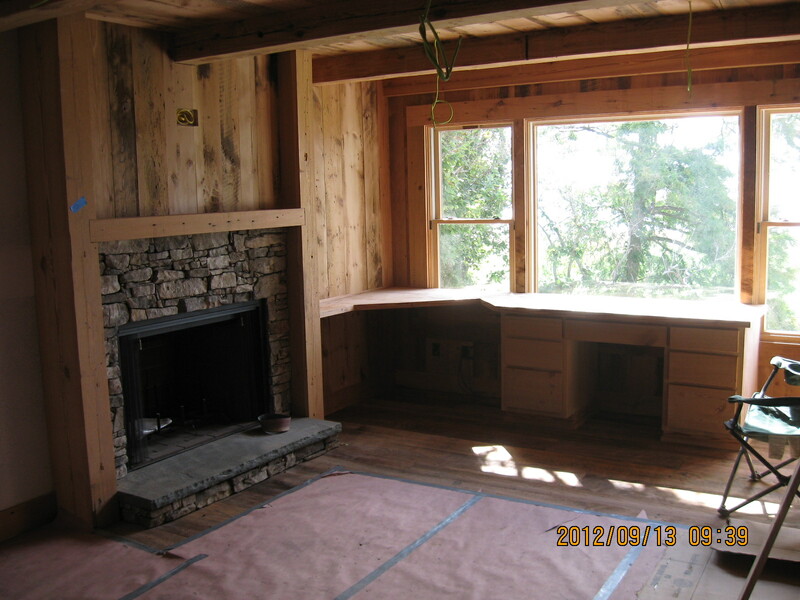 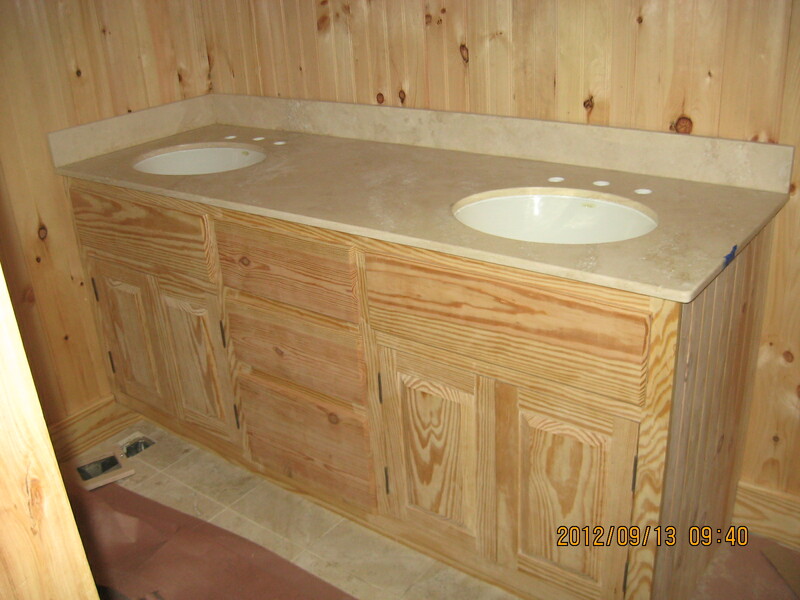 Wilson-Covington continues to enhance the interior of this premier private duck hunting lodge in Eastern, NC. 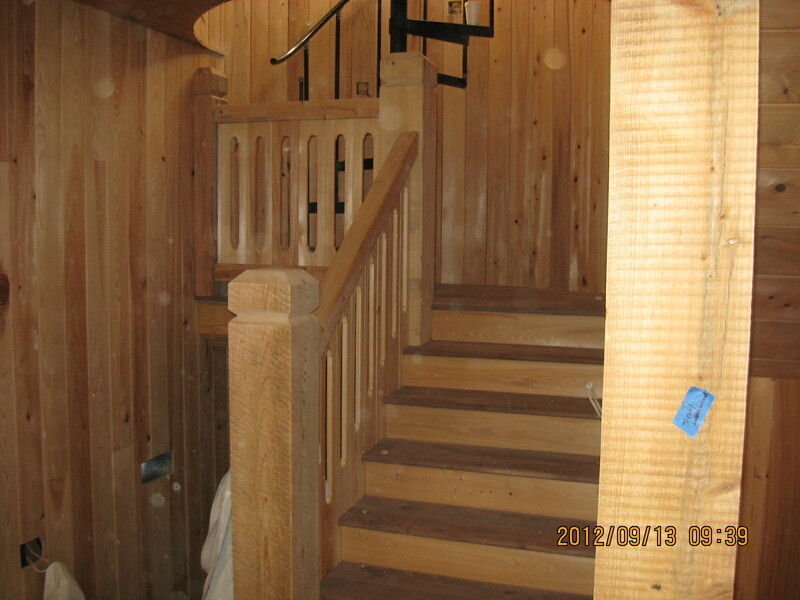 Featuring a wide variety of wood species and styles, while all flowing together very nicely, the interior work has become a masterpiece of design and craftmanship. 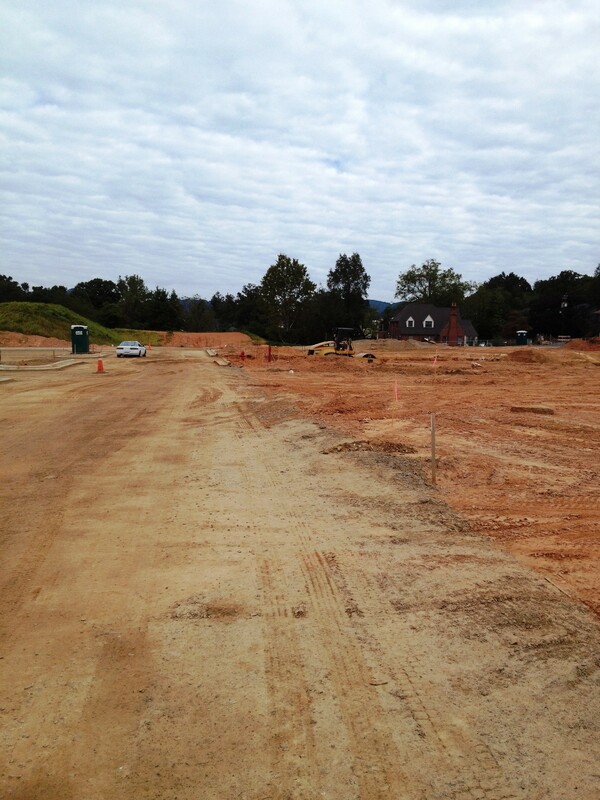 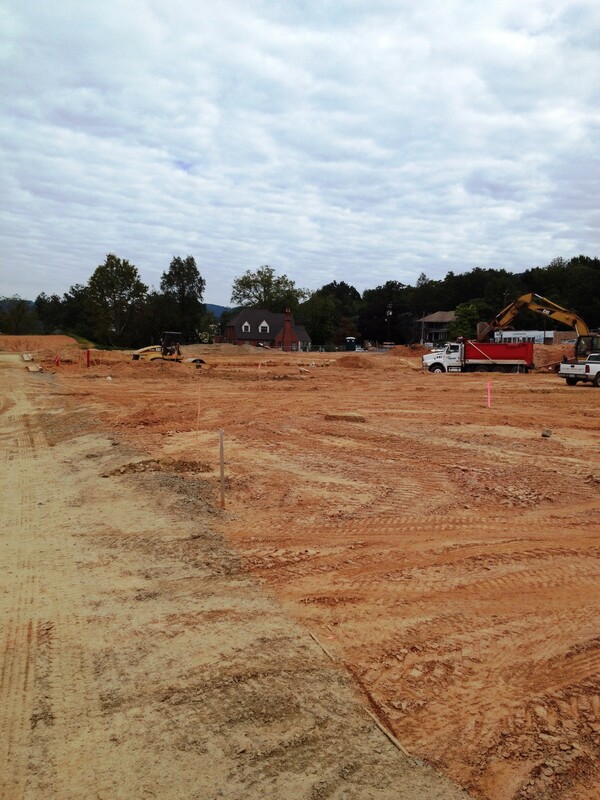 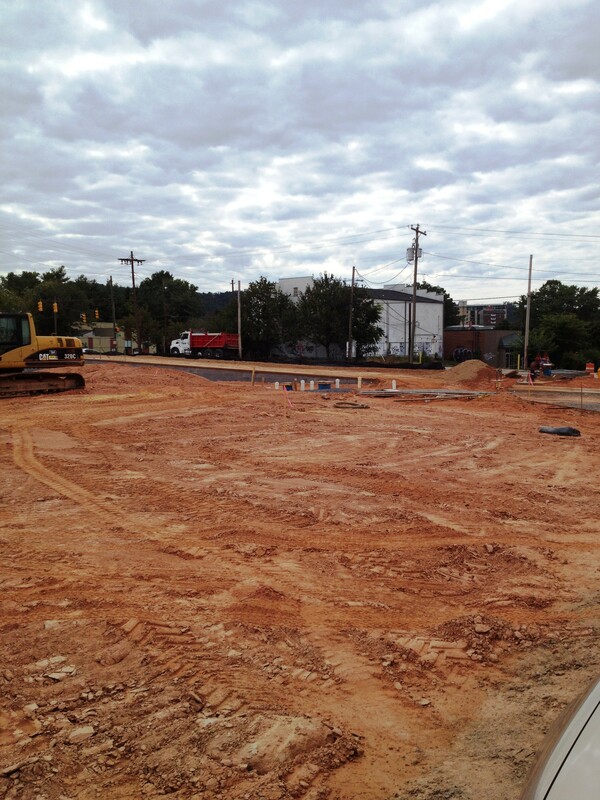 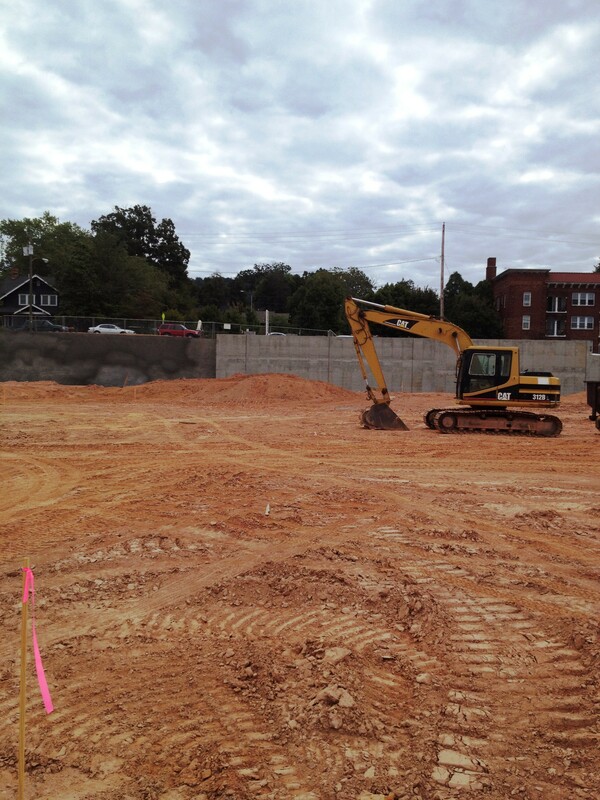 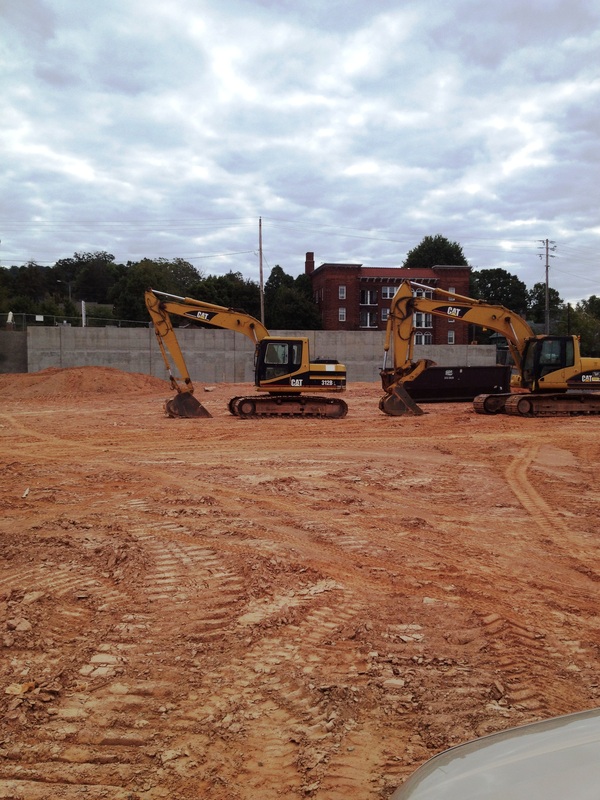 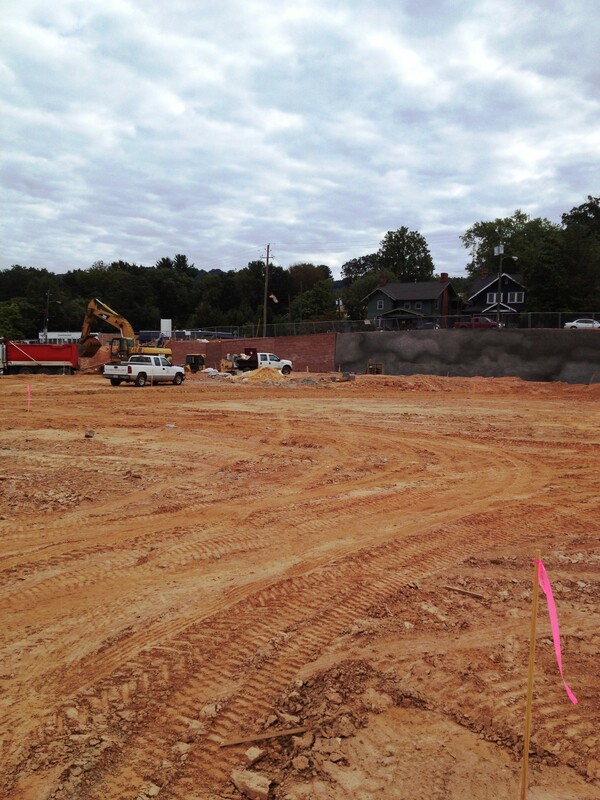 Wilson-Covington is pleased to have been selected to build Harris Teeter’s new store #348 in Asheville, NC. 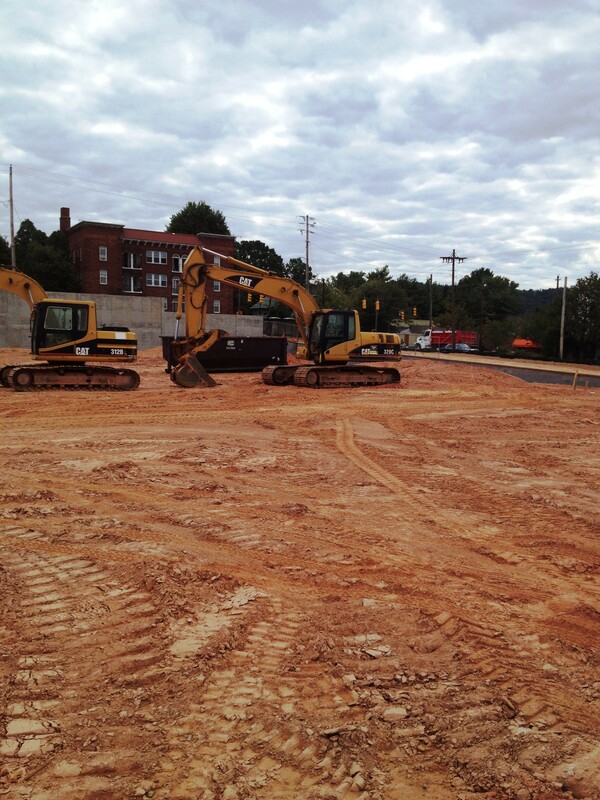 Construction is set to begin in October. 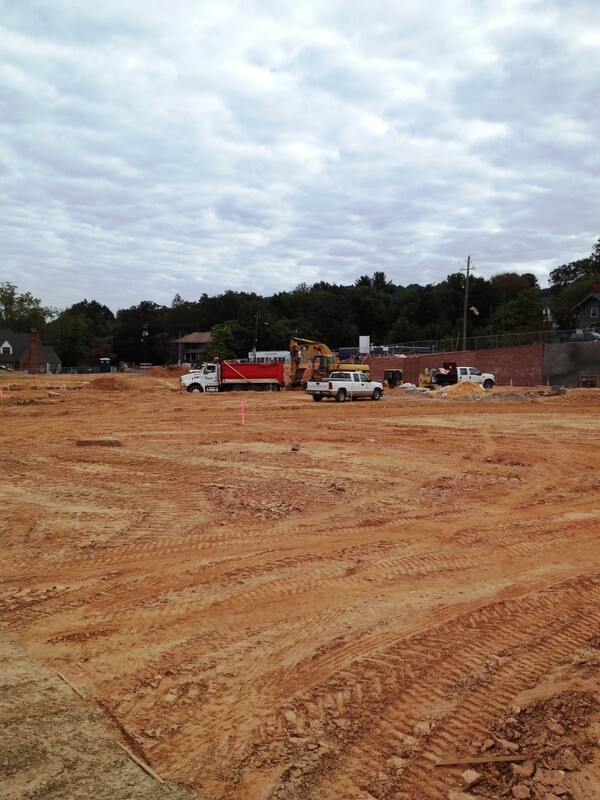 The team at Wilson-Covington has extensive grocery experience and is proud to be partnering with Harris Teeter. 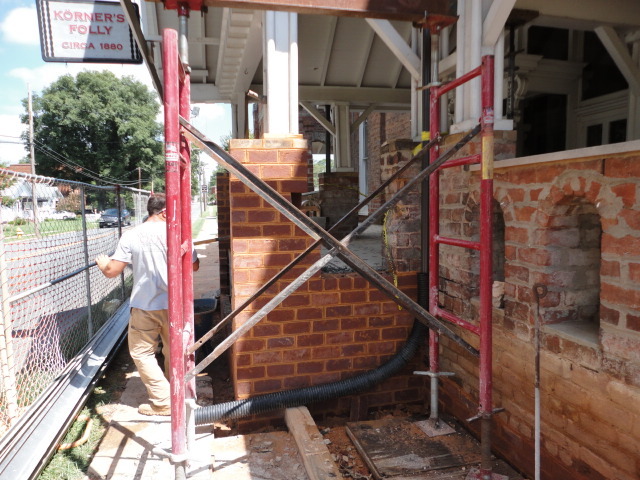 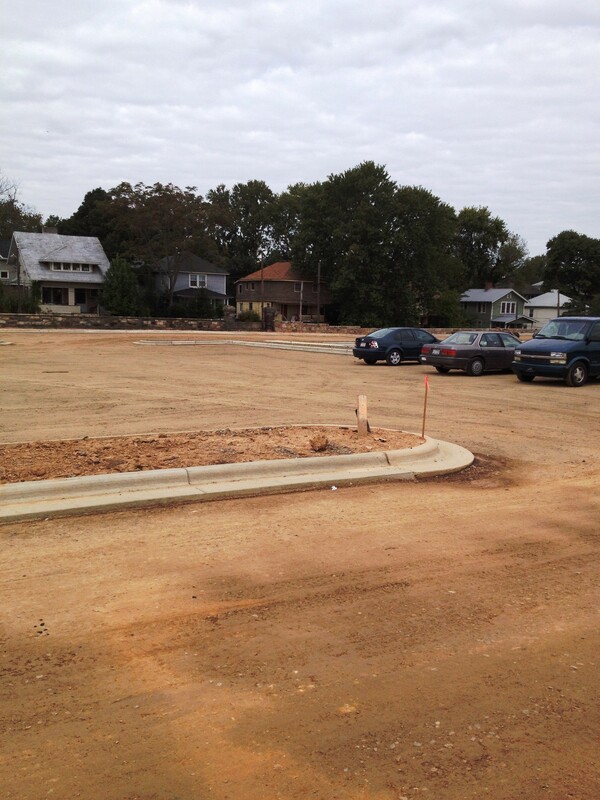 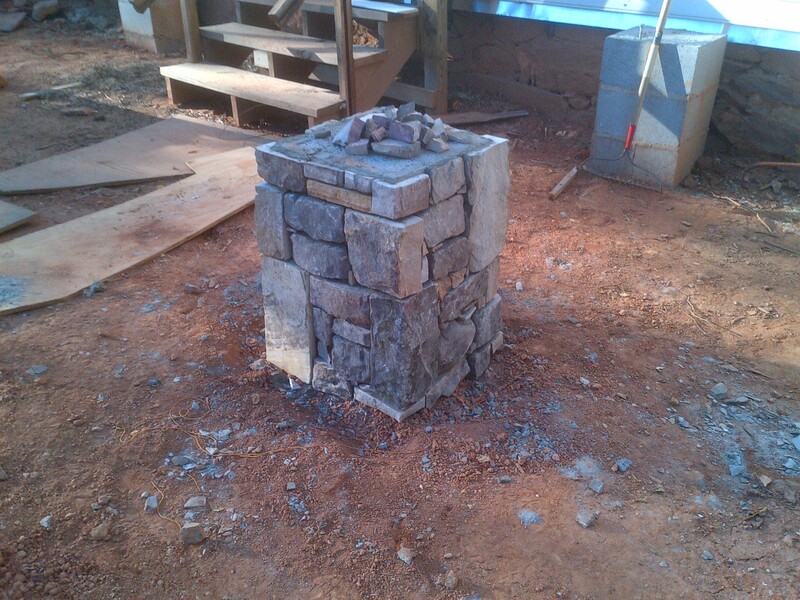 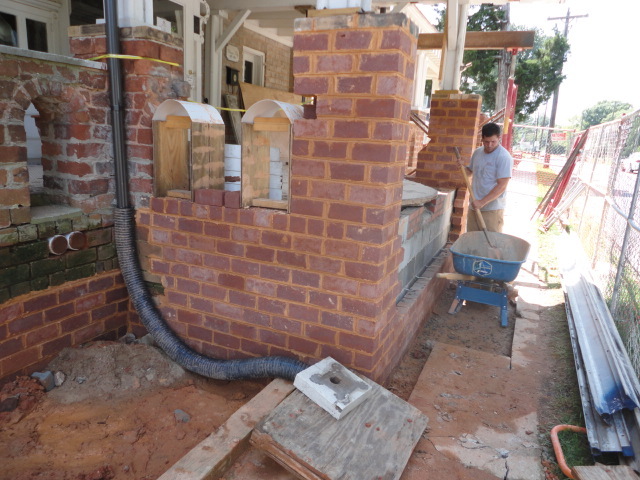 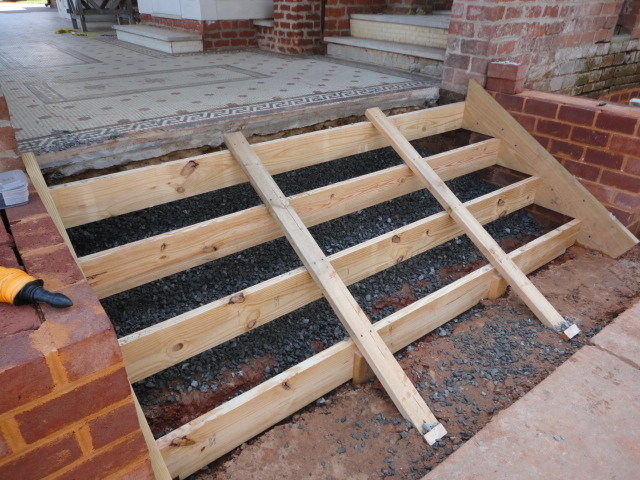 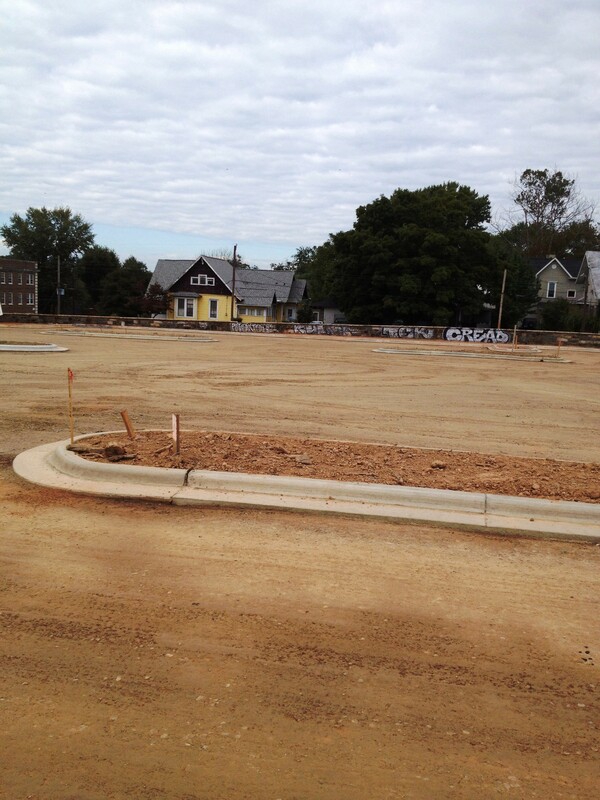 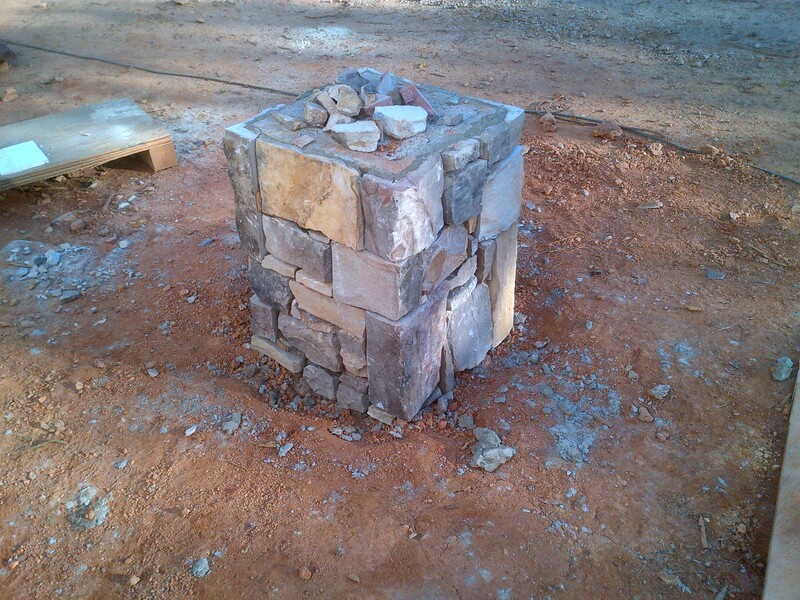 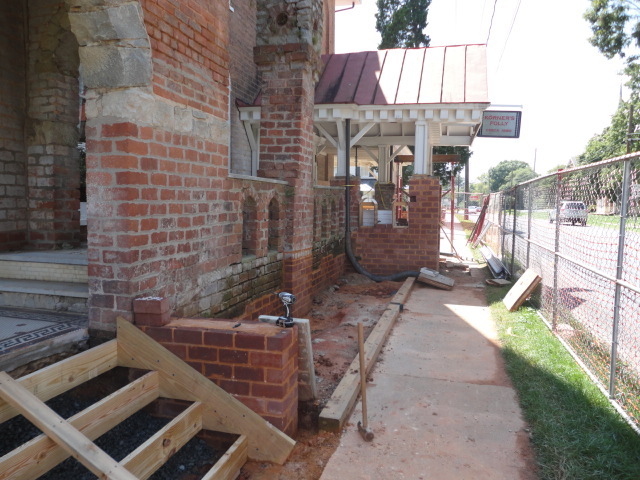 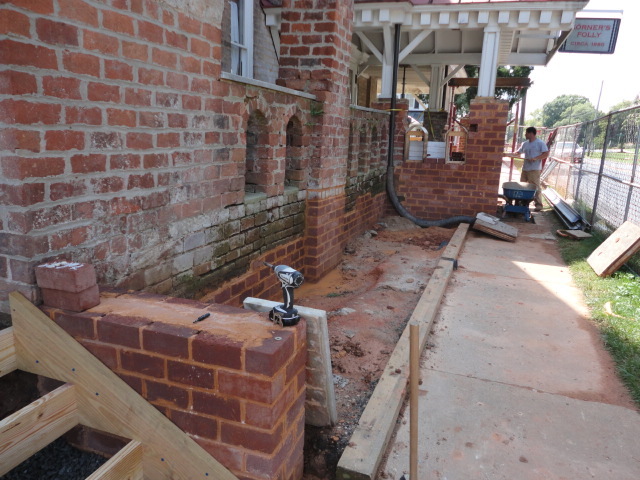 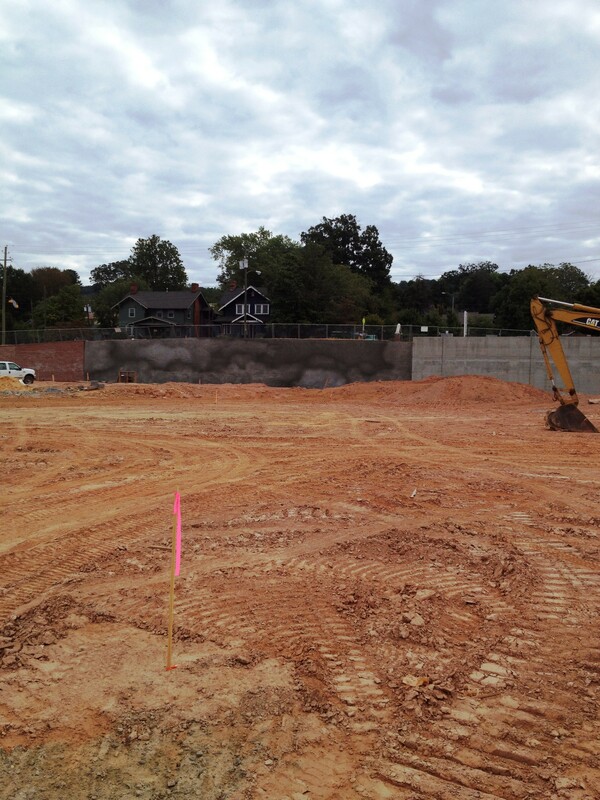 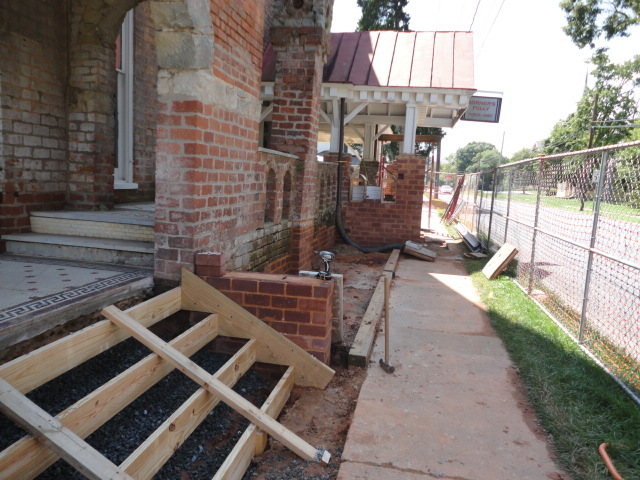 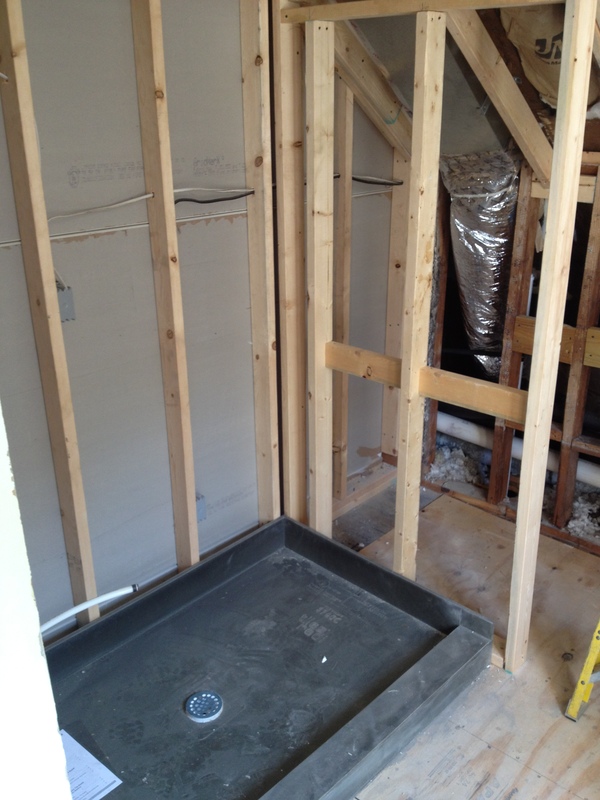 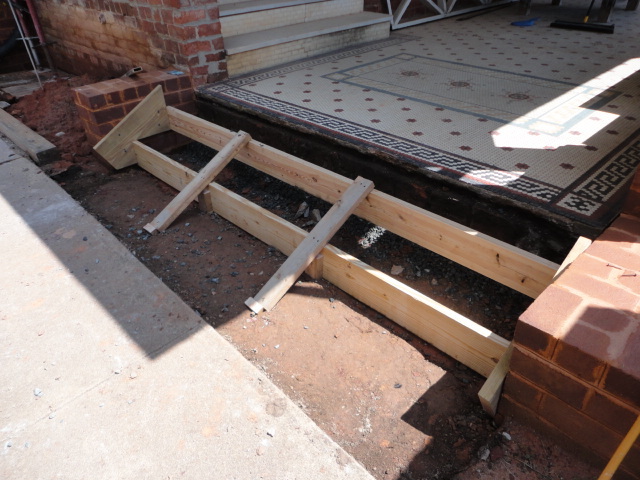 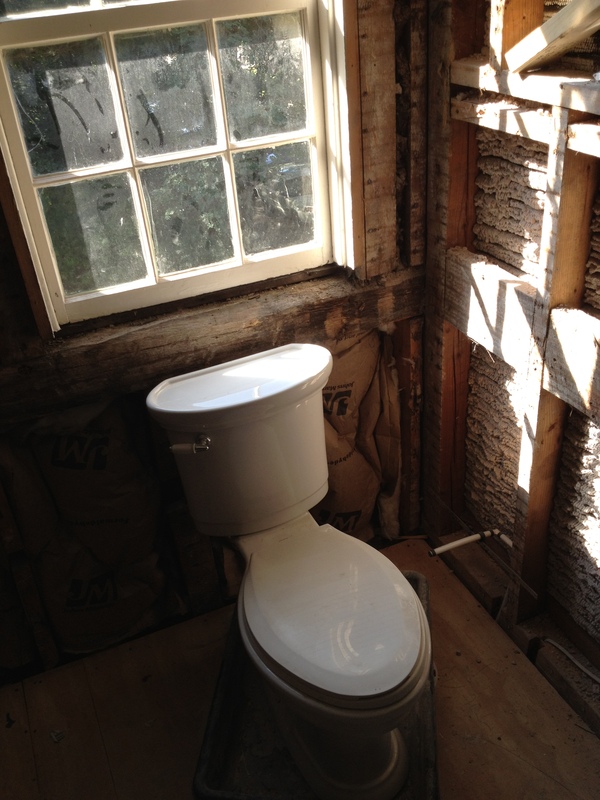 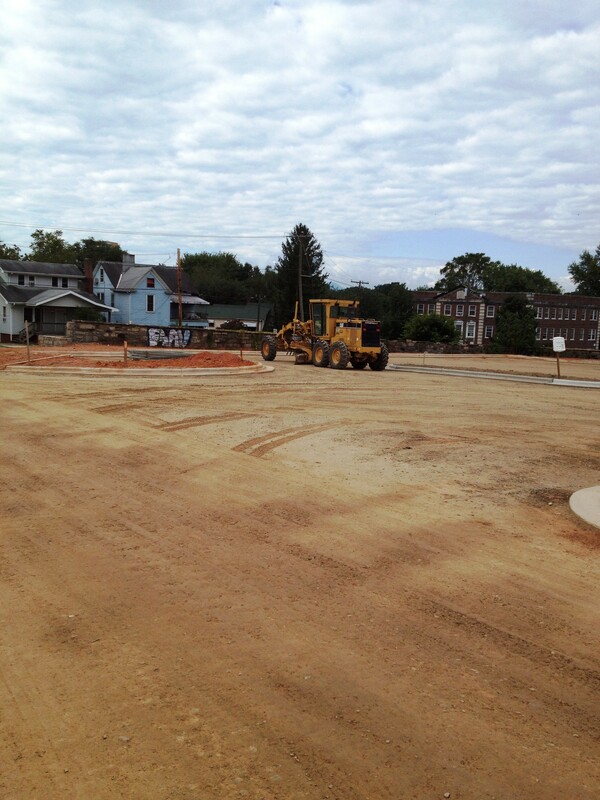 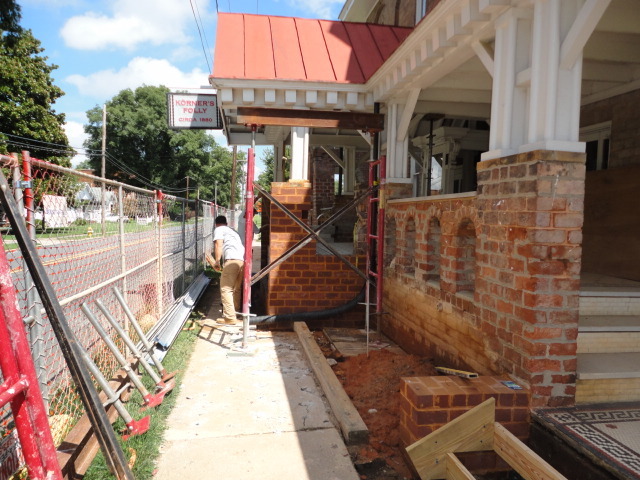 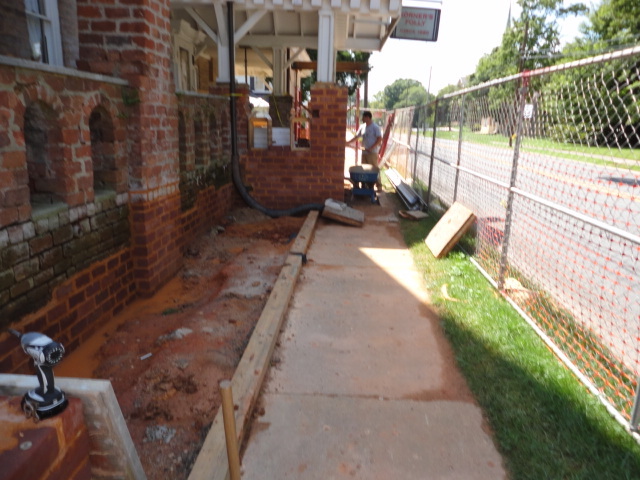 Wilson-Covington has successfully installed footings under the front porch wall at historic Korner’s Folly. 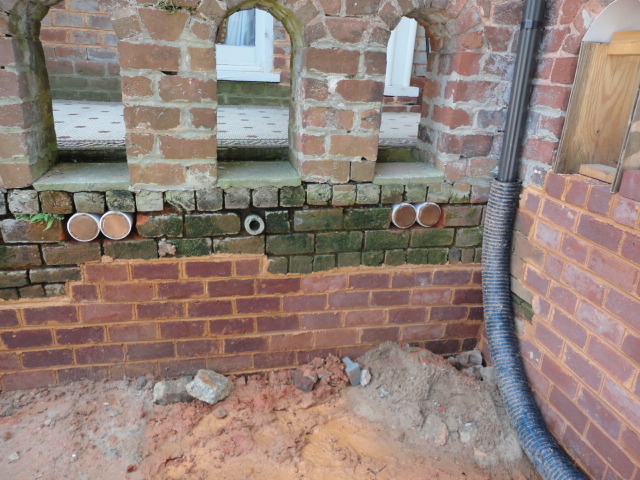 Work has also been completed to re-lay the front porch extension and archways. 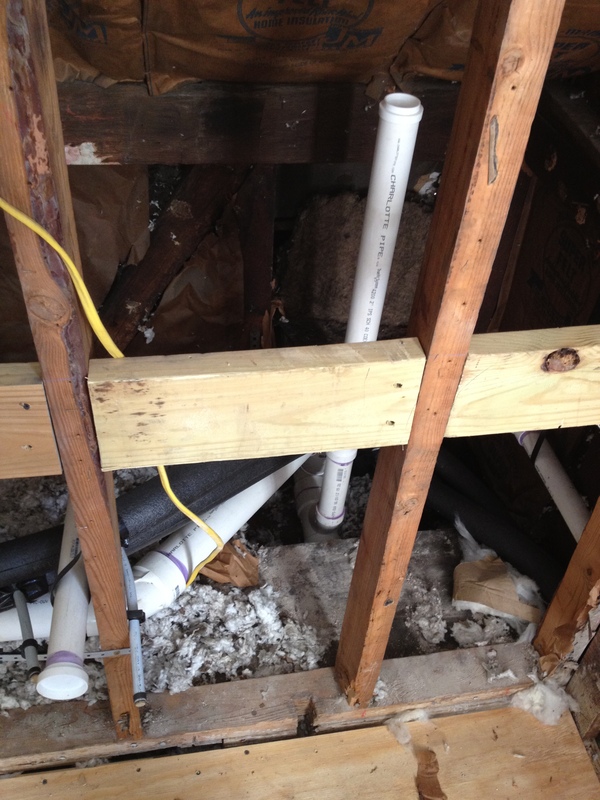 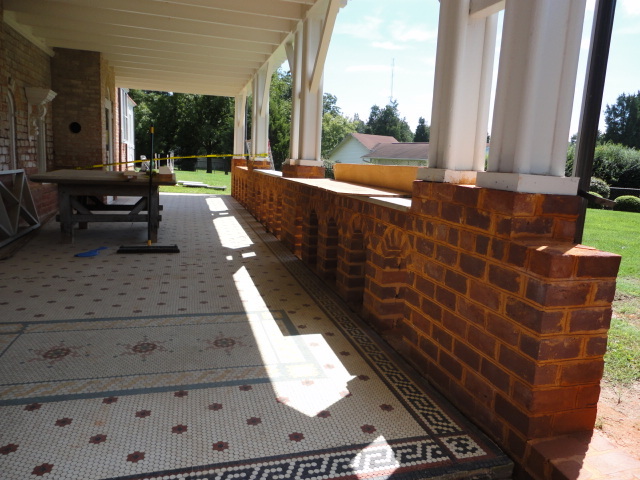 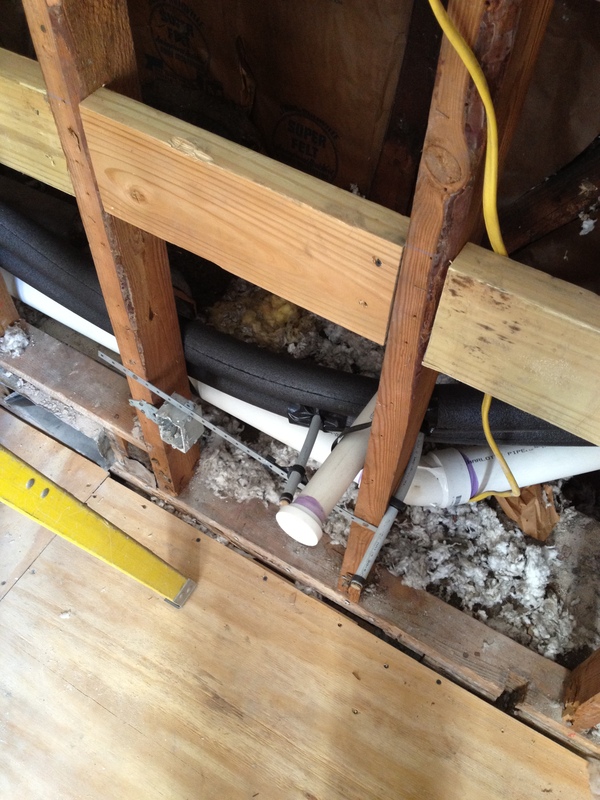 Foam injection was completed to preserve the mosaic tile under this front porch extension.